In both large and small markets, actors are wooed by all kinds of different mediums: theater, film, television, commercials, industrials, etc. Since each audition normally relates to just one of these mediums, it stands to reason that an actor might have different resumes for each type of audition. It also stands to reason that an actor might only have a resume that reflects their top, preferred medium - film actors only including on-camera credits, for example. But what happens when an actor is auditioning for someone whose interests extend to multiple mediums, like agents and casting offices? 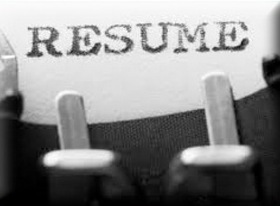 If an actor wants to be known for performing in multiple mediums, how should they organize their resume? Regardless of what medium you’re auditioning for, I always recommend that your resume represent the full breadth of your work - in this case, your top theater and top film credits. They need not be the most recent credits, only the most representative of the kind of work you can do right now. Think about the kind of roles you want to play - which roles have you played that would help create that picture for prospective directors, producers, and casting personnel? If you choose, you can have two resumes: one that's more weighted toward film and the other more toward theater. This will allow you to bring the resume that fits the kind of audition you're going for. In an agent setting (like the one you mentioned), bring the resume you feel is a better fit for the kind of actors they represent, or the medium for which you find more passion. This topic falls into the genre of, "No matter who you ask, you'll probably get a different opinion." For example, your friend says theater should be on top for film producers, but for a lot of producers having it up top would indicate that you are more interested in theater... and for some film producers that equals "too big for the camera." Neither perspective is wrong, but you obviously cannot satisfy both types of people at the same time. So, because so many headshot & resume preferences are subjective, it is a better idea to focus on the aspects of marketing that are objective. Namely, people who read resumes will naturally scan them from top to bottom. Because of this, you want to put your most important information up top to make sure it is seen. If you are primarily pursuing film/TV, put those credits before your theater credits. The fact that you have theater credits listed at all should satisfy any film producer/CD who wants a theater savvy actor. With that, inside each section it is recommended that you put your best, most representative roles at the top, so that someone who is scanning quickly from section to section will see the credits you feel are most important. Some options for choosing: roles you feel are most representative; high profile directors/producers; well-known theaters; well-known plays/films/shows; etc. Do you have questions about resumes, or comments about this post? Leave it by clicking below! I also have two resumes: One geared toward On-Camera auditions (majority for me), and the other for Theatre submissions. I update them both at the same time, simply have more Theatre credits listed on the latter, and my header says "Theatre (Selected)" for my film geared resume. You're welcome! Sounds like your formats are working very well for you. Congrats, Anne!